Airbnb vs the Hotel Industry- Is Airbnb a Threat to the Hotel industry? You must have heard about the apartment-sharing website Airbnb. It has become a disruption in the lodging sector of the hospitality industry in recent years. In this post, we discuss Airbnb vs the hotel industry. While a lot claim that the hotel industry might soon be in a state of shock due to Airbnb while a lot believe that this is only going to strengthen the hotel industry. One thing is for sure that Airbnb is disrupting the hospitality market in a big way. It has been one of the most exciting startups recently. In one of our posts, we have listed a few of the Other Hotel and Travel industry Startups. In this article, we have tried to take a holistic view while comparing Airbnb to the hotel industry. Airbnb vs the hotel industry is a trending topic and we have tried to make this post informative and interesting. STR, a data research firm, compared key data of Airbnb along with major hotel players in 13 key US and international markets. STR looked at Airbnb and the larger hotel chains – Starwood and Marriott, Intercontinental Hotels Group, etc. 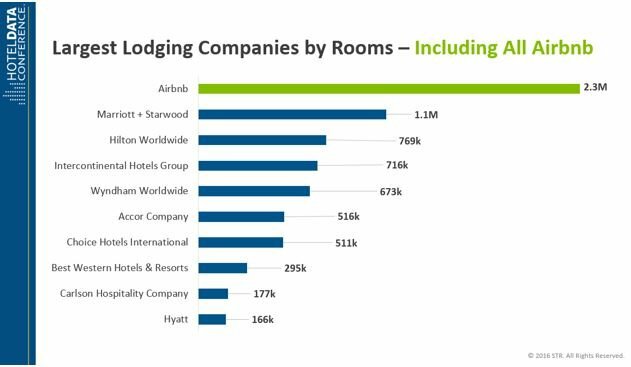 As per the data by STR quoted in Business Insider, the Airbnb vs the hotel industry debate might not be that important. What the firm found was that Airbnb doubled its listings around the worldwide than the major hotel groups combined but they’re not replacing the hotel industry. Airbnb might not be hurting the hotel industry at all. First, have a look at the number of hotel rooms vs rooms of Airbnb as per the data. And now have a look at the growth statistics of the hotel industry and Airbnb in the markets in question. When Airbnb entered the market, it caused many in the hotel industry to become concerned that the home-sharing company would damage the real estate and hospitality industries. However, it appears those concerns are without merit. As is evident, the growth of the hotel industry has improved in comparison to the Airbnb. The hotel industry is actually getting a healthy competition by Airbnb which has created a separate market for itself. The business model of Airbnb has helped increase the number of travellers and pushed hotels to embrace technology and automation. This helps the end users or customers. Thus Airbnb vs the hotel industry is more of a love saga. The hoteliers might not enjoy the humongous growth of the Airbnb but they have certainly taken up the challenge to ensure that the hotel industry innovates and improves. From new technology in the hotel rooms to impressing customers at every touch point; the hotel industry is giving Airbnb a run for the money. The competition is tough and is healthy. So can we complain? So, is Airbnb a threat to the hotel industry? At this moment, we don’t think so. 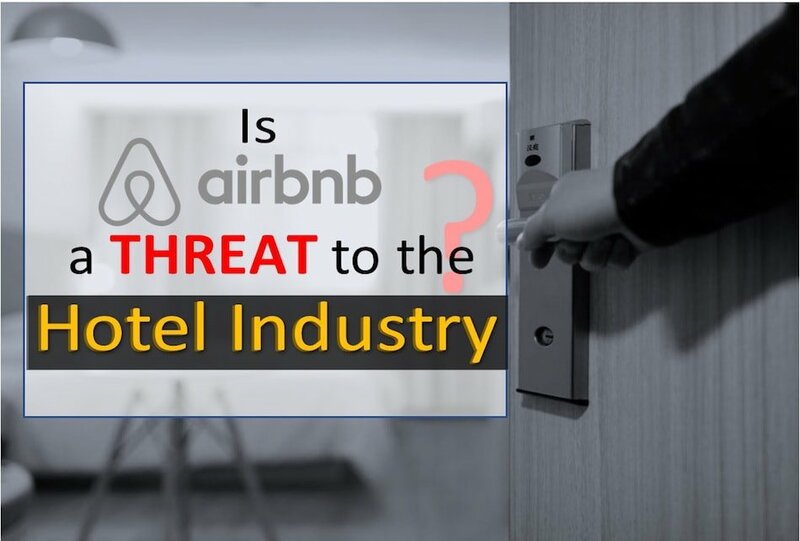 Now moving on the next a more relevant question which allows both Airbnb and the hotel industry to co-exist in a profitable and healthy manner. Is Airbnb disrupting the Hospitality industry? 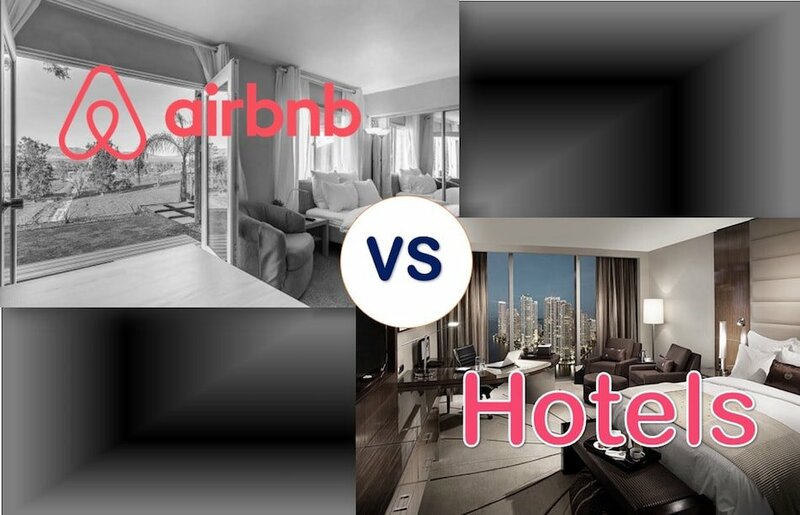 When trying to compare hotels to Airbnb, it’s comparing apples to oranges. People who opt to stay in an Airbnb home do so to have a completely different experience. One can however not argue about the fact that Airbnb comes up as a revolution within the hospitality industry. It is certainly disrupting the hospitality industry. One of the articles by Alfano Group has listed 25 facts to show how Airbnb is disrupting the travel industry. Travellers want to intermingle with hosts, be involved with the local community or unable to afford a hotel stay. On top of that Airbnb provides accommodations not seen with hotels such as whimsical places such as tents and Treehouses and shared spaces. However, Airbnb still has problems making an impact in occupancy in some areas of the market. 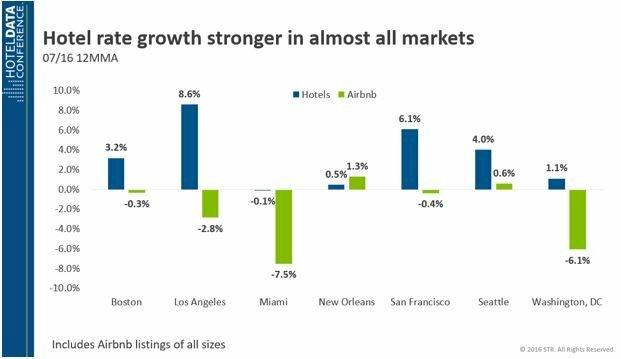 Hotel occupancy is still higher in big markets such as Los Angeles and San Fransisco, which is where the Airbnb began. The gap is even bigger in international locations such as London and Mexico City. Airbnb may be the stopgap for when hotels are fully booked. Yes, Airbnb is still taking some markets away from hotels, but not enough to unsettle the traditional lodgings. Many people feel Airbnb is actually helping with gentrification and impacting housing costs, but it’s not going to take away from the hotel industry anytime in the near future. Competition is good and apartment-sharing websites like Airbnb will hopefully help the hotel industry grow further and come out stronger. It is one of the most talked about startups in the hospitality sector. But, it has been in the news for the wrong reasons in New York lately. Here is a news on how Airbnb has been impacting the Hotel industry in New York followed by another news on how a lot of other areas are unaffected. City taxes that were collected for the state’s hotels have remained flat or decreased in the last several months – and it’s thought that Airbnb-The accommodation site and numerous apartment-sharing websites are to blame for the decline. That’s according to the latest analysis of the city budget of New York. This has been a trend in several other cities in the USA. The nonpartisan Independent Budget Office found that from October until March, hotel occupancy revenue taxes decreased four per cent with sales taxes from those hotel stays dropping 1.3 per cent during the first quarter of 2016. The IBO said the hotel sales tax was just one of the city’s sales levies to see a decline. The other sales levies saw an increase of 4.4 per cent. Doug Turetsky from the IBO said the decline is likely the result of a number of things – one factor would be the rise in popularity of Airbnb and related sites that let people allow other people to rent their apartment. Airbnb has indeed made lives extremely easy for budget travellers who also get a feel of the local culture through booking by Airbnb. These sites make lives extremely easy for travellers as they are cheaper and extremely easy to book. However, there is also a growing concern for authorities who also believe that a lot of listings at Airbnb NYC are illegal rentals. Airbnb however, claims to have taken necessary measures to counter these issues. Airbnb came up with an agreement with Newark to give some of its sales toward hotel taxes, and it would like to come up with a deal that’s similar to Newark’s with New York. According to a company statement, they know the community and would love to contribute millions of dollars to the state if they were able to do so. So, it’s not simple mathematics as far as the competition of Airbnb with Hotels is concerned. Hotels blame Airbnb of playing with rules and ethics while Airbnb takes pride in creating a community that didn’t exist earlier. The company along with other apartment-sharing websites are redefining the lodging industry trends and travel. Airbnb vs the Hotel industry debate is set to intensify in the coming months. We will update this space with more information on the healthy competition. A lot of other apartment-sharing websites are following the Airbnb model to add to the worries of the hotel industry. While New York seems to be affected by the growing prowess of Apartment sharing websites like Airbnb, a lot of other areas seem to be unaffected. One thing, however, is certain. The customers are winners all the way in this clash of the Titans.